We all know Facebook has 500 million users–heck, it’s even advertised on movie posters now. But many often forget another service that boasts more members than Mark Zuckerberg’s social network: Skype. Today, the Internet-phone service announced Click & Call, its first foray into advertising. And with more than 560 million registered users worldwide, Skype’s new service is almost guaranteed to be a success. Obviously, the benefit here for advertisers is that it will create greater ease-of-access for consumers, who for whatever reason might not have dialed in or are plain-old too lazy to punch in the numbers on their phones. This free in-browser call support really gives them no excuse, and makes company contact only a click away. Imagine, for example, if you searched on Google for a pizza shop nearby. If both Domino’s and Papa John’s pop up, but only the latter has the blue Free Call button next to it, which are you more likely to dial? Competition over providing Skype’s new service will likely drive revenue gains for the company. The service mainly profits from subscription and data plans that it charges its customers, often offered on a by-minute basis. 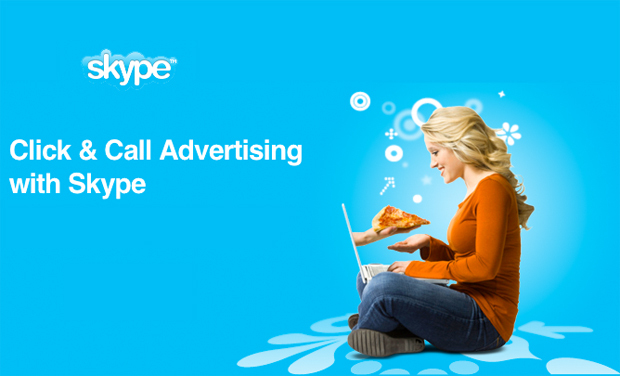 Annual revenues, some estimate, are rapidly approaching the $1 billion mark–adding advertisers to its revenue stream should help push Skype past this goal, especially as it plans for an IPO. Calls to Skype regarding the rates for advertisers were not immediately returned, though the company promises on its website that they’ll be affordable. According to a press release, “Advertisers agree to pay a fixed amount per call, along with a budget. Rates are determined based on advertiser categories.” No word yet on what these “advertiser categories” entail. To find out how to get your business advertised through Skype, click here or check out the video below. Of course, you could always just give them a call. I assure you the first one is free.